As a spiritual and psychic guide, Unknown company helps unlock answers and open the doors to the future. And while other psychics and mediums lean toward providing advice or laying out solutions, Coraline emphasizes choices and possibilities. Life is not simply destined or a structured path, it is a journey littered with questions, opportunities, and free will. Though, having someone provide you with a little guidance and clarity is certainly a wonderful way to ensure a fulfilled life. That is exactly what Unknown company is here for. future. When I am all done telling you what I see in the cards, there is usually time left for questions. My mother always told me that I had an active imagination, but it wasn't until I was an adult that I understood it was a gift from God and that I was to use it to help others. Being very creative, arts and crafts were my favorite pastimes. I am a Spiritual Teacher, have taught Psychic Development Classes, investigated haunted houses as a Paranormal Investigator, cleared houses of negative energies, channel healing energies using crystals and Reiki. I am a Spiritual Counselor, a Minister, as well as being a Psychic and a Medium. My tools are cards and crystals. My abilities are empathic, intuitive, healing, and channeling. I spend my free time learning more about crystals and making them into jewelry. My purpose for doing psychic readings is to help people, and I believe that God leads people to me that I can help. I would love to help you improve your life. 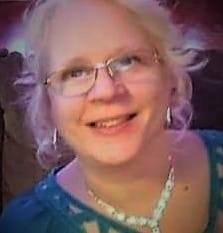 My style is soothing, compassionate, and uplifting, so call me or send me an email at PsychicReaderChristaLynn@gmail.com, schedule a reading and see for yourself. I am available for Private Readings, Phone Readings, Psychic Parties, and Private Events.